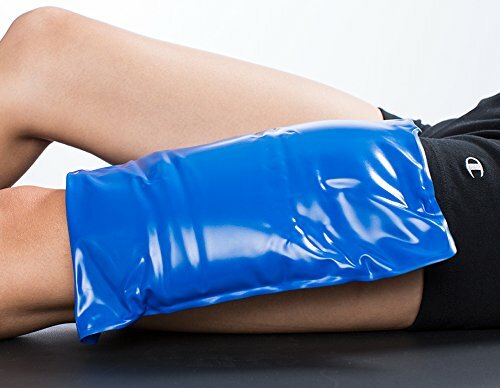 Having a good knee ice wrap or pack and knowing how to use it properly is essential for athletes, people who work long hours on their feet, and anyone with knee issues they’re attempting to manage. There are a lot of options when it comes to ice therapy for your knees so take a read through this article and find the suitable solution for you. Our reviews of the best knee ice wrap and packs are crafted through experience and extensive research to save you time so let’s get into it! Let’s go over the different types of wraps, packs, and other devices you can use for ice therapy on your knees. Each of them have their own set of ups and downs but if you read on you’ll be able to clearly choose between them to find the right ice therapy solution for you. Ice wraps are my favorite option when it comes to cold therapy for knees. The wrap aspect allows you to accurately position it on your knee and the cooling is spread evenly throughout the wrap. Gone are the days of struggling to keep your ice pack or bag to stay on the same spot and not freeze your fingers off in the process. This is my top pick when it comes to ice knee wraps for a few reasons. The wrap portion holds its shape through extended use, it stays cold for the right amount of time, and it compresses your knee properly. Too often I find an issue in one of those categories with most wraps. 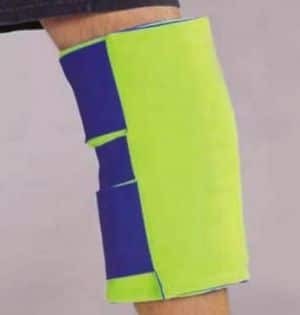 Our rating: (4.5 / 5) – my favorite overall ice knee wrap! This knee wrap is definitely more high-tech than the Polar Ice and the price tag reflects that. But is it better? In a way yes, and in a way no. 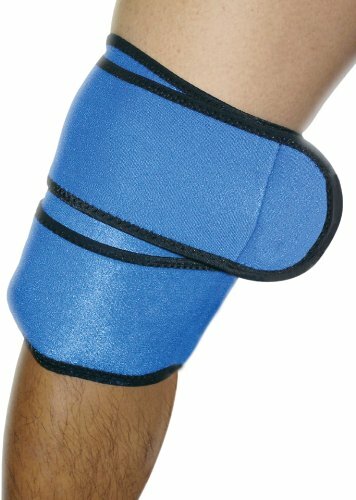 It really comes down to what you need an ice knee wrap for. People either want it to hold the ice in place on their knee, or they want it to do that AND provide the extra compression that comes with the “wrap” aspect. Now of course high-end materials used in this device give you a higher compression, so if you’re after that then this is the wrap for you. (4 / 5) – My top high-end ice knee wrap pick! Now this is our top budget knee wrap on the list – it’s a wrap that fits an ice pack inside of it that works to secure the cooling action to your knee and provide some compression. That’s why it’s our budget pick – it accomplishes the basics but doesn’t have the compression design of our other two options here. This is a great option for someone treating sore knees after a hard days work. Our rating (3.5 / 5) – best budget knee wrap pick! So I said they were cheaper, but this one is the best of the best when it comes to knee ice packs. Torex’s ice pack will never freeze so it’ll form to your knee, and they also last a really long time. They hold their temperature really well and you’ll be very satisfied using this product to treat your aches and pains. Put it in your fridge or freezer and get it to the desired temp, and enjoy the soft-touch coating! Our rating (5 / 5) – best cold pack hands down! Here’s another really great option when it comes to cold packs with a more friendly looking price tag. It’s very similar to the Torex but the outside material is not as durable or soft to the touch. This cold pack has all of the other great features but cost and value is lost in the exterior shell. This pack can give you great pain relief and I keep a few around the house for knees and other aches/pains. This is one of the biggest ice packs I’ve seen for a reasonable price. If you’re looking for an ice pack that spread up the quad and down the shin a bit for a really reasonable price then this is the ice pack for you. It’s really nothing flashy past that but it gets the job done and provides cold therapy to a large amount of the body at once. The third option for me is the ice bag. This serves very similarly to the reusable ice packs except you have to fill it with ice cubes, or fill it with water and freeze it. They’ll last longer than the reusable seal bags because those CAN eventually break while if this breaks or has issues it’s still usable. It has the same disadvantages and advantages as a regular ice pack in comparison to the compression ice knee wrap other than that. So this ice bag costs about as much as a budget cold pack that you can use for your knee except this sucker will last forever as long as you keep filling it with ice or water. What I like to do is fill it with water, freeze it, use it on my knee/body and then once it melts put it back into the freezer and not waste water/ice cubes each time I use it. This is a great bag and product for the price and you will see a ton of use out of it. Our rating (4 / 5) – best ice bag pick! There’s not much else out there in terms of ice bags, they’re all pretty similar the only variation you’ll find is the sizing and the AZMED one above is perfect for using on your knees. It’s a bit larger than the knee so it covers it completely and spreads up the quad a bit. 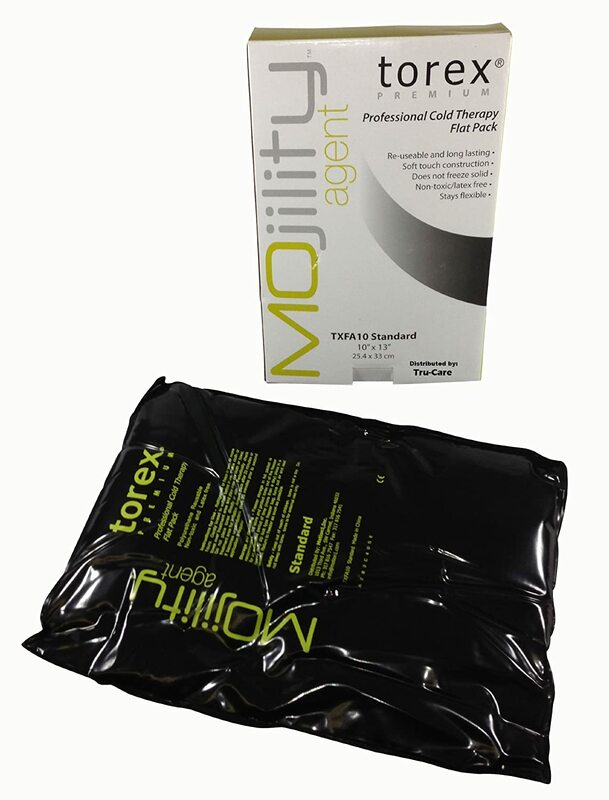 At the bottom of the totem pole when it comes to ice therapy products you can buy is the instant ice pack. It’ll cost you every time you use one but they can be handy to keep in first aid kits or around the house in case of emergency. 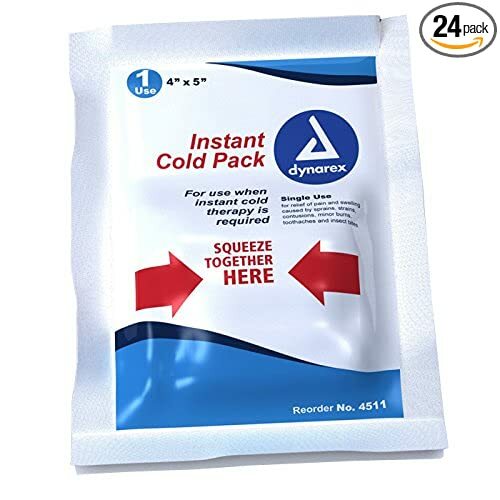 Here’s my favorite option for instant ice packs, it’s a great price per pack and all of them cool pretty well the same so this is my top pick. One box comes with 24 instant ice packs. These are 4×5″ single use ice packs that are activated when you squeeze the middle and the chemicals inside mix together creating the chill for you to use. Keep it anywhere you might need cold therapy that you don’t have a freezer. 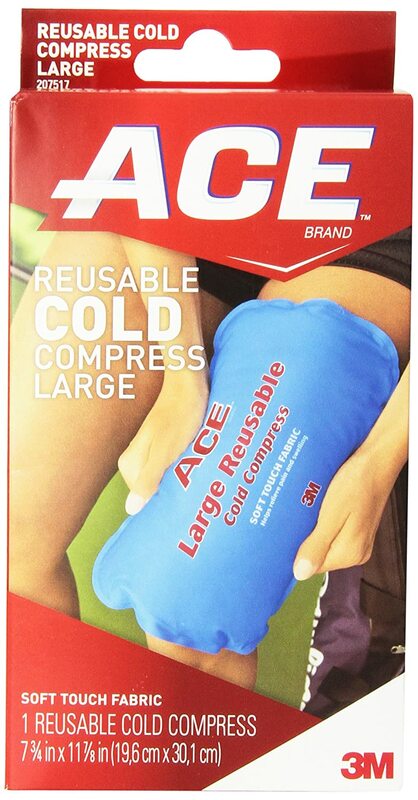 Our rating (3.5 / 5) – our best instant knee ice pack pick! Since mobility is not so simple as using ice to solve your problems, it can only reduce inflammation, swelling, and pain. I always recommend having solid nutrition, exercising regularly, and foam rolling to lead a balanced, healthy, and mobile life. For further protection of your knees you can also wear a knee sleeve throughout the day which will compress your knee and keep it safe during regular activities, and even athletics. During therapy time you can swap between your ice knee wrap and regular knee wrap/sleeve to continue the compression while cycling on and off of icing. So there you have four different options for providing ice therapy to your knees. Whether you have aches and pains after working long days on your feet, athletic therapy needs, or you’re recovering from a surgery or injury there’s an option for you. Here’s what I’d recommend depending on your situation. 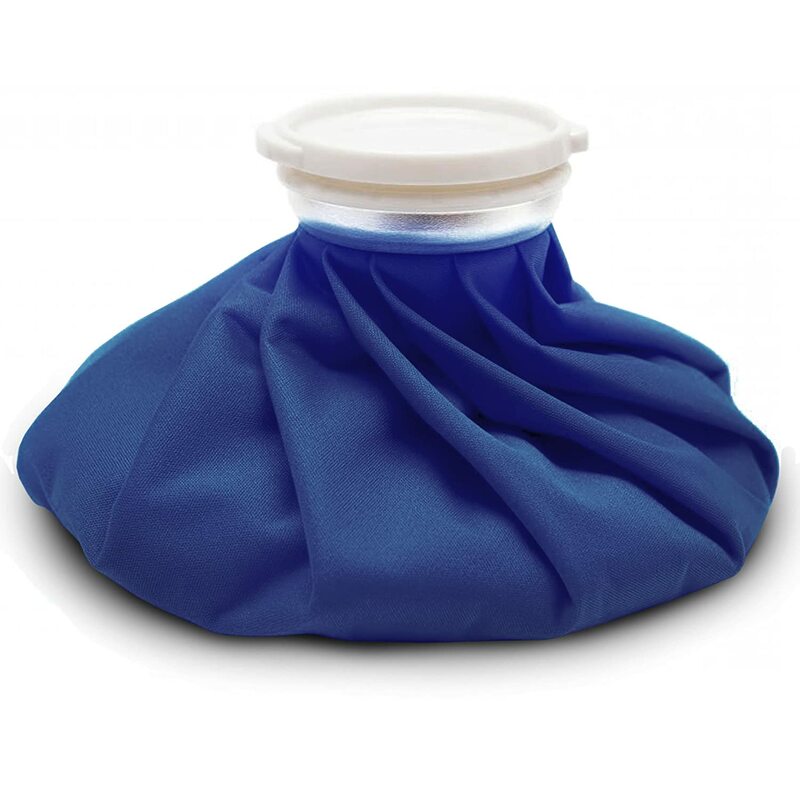 Cold therapy for working individuals with aches/pains: Ice pack or ice bag – you want to soothe the pain but don’t necessarily need the compression. Cold therapy for athletes: Ice wrap for sure – you want the ice therapy alongside compression for the fastest recovery and best treatment. Cold therapy on a budget: Ice pack or ice bag – these are the cheaper options and in a pinch you can use tape, or some other sort of band to affix the icing bag to your knee. That’s a wrap! 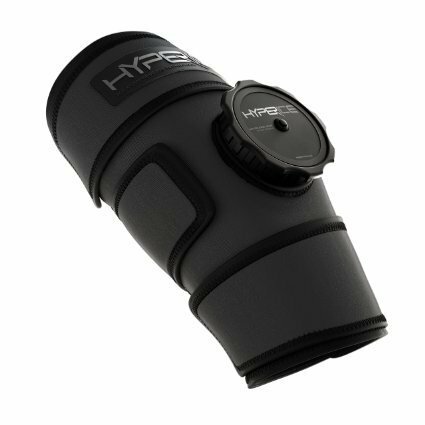 Hopefully our best knee ice wrap and pack options and reviews help you to choose a great cold therapy device for your knee. 10 Benefits of Cold & Ice Therapy Best Shoulder Ice Pack & Wrap Reviews How to Use Hot and Cold Therapy Massage Ball Product Review, Good News For All!